Editor's note: Due to the winter storm, the March 5 memorial service has been postponed. The service has been rescheduled at 5 p.m., Monday, March 9, in the Gore Recital Hall of the Roselle Center for the Arts. A reception will be held afterward. 12:29 p.m., Feb. 23, 2015--A memorial service for Steven K. Dentel, long-time professor of civil and environmental engineering at the University of Delaware, has been rescheduled at 5 p.m., Monday, March 9, in the Gore Recital Hall of the Roselle Center for the Arts. A reception will be held afterward. Dr. Dentel, a member of the UD faculty since 1983, died Feb. 18, after a long struggle with prostate cancer, which he faced with his signature mix of humor and scientific analysis. He was 63. Harry W. "Tripp" Shenton III, chairperson of the Department of Civil and Environmental Engineering, said, "Steve was a beloved member of the UD community. He was an outstanding teacher, researcher, adviser and mentor. He was also the founding adviser of UD’s very popular and visible chapter of Engineers Without Borders." An expert in water and biosolids treatment processes, Dr. Dentel was instrumental in the creation of an undergraduate major in environmental engineering at UD and in 2006 became the faculty adviser for the newly formed Engineers Without Borders (EWB) chapter at the University. Known as Dr. Steve to his EWB students, he traveled to Cameroon 11 times working with EWB and community members to build water systems in two villages and was designated a "Prince and Village Notable" by the people of Bakang II, Bamendjou. His experience with Engineers Without Borders served as a catalyst for his research on water and sanitation issues in the developing world. Most recently, he received funding from the Gates Foundation to explore the use of water-permeable membranes in latrines as a means of limiting pathogens in ground water. This innovative treatment is currently being tested in India and, if successful, could have a significant impact on sanitation processes in the developing world. Dr. Dentel's honors include the Order of the First State, Delaware's highest civilian honor, awarded by Gov. Jack Markell. 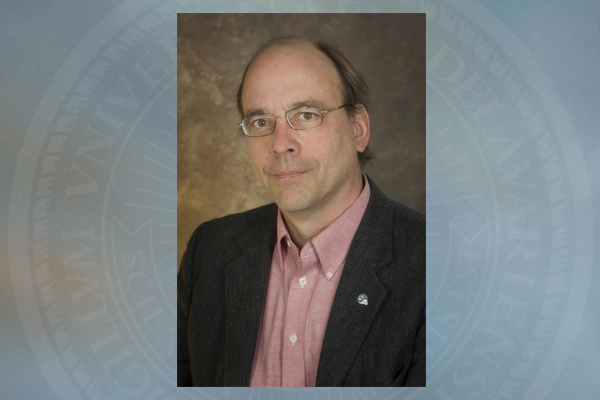 In 2014, he was awarded the inaugural Steven K. Dentel AEESP Award for Global Outreach by the Association of Environmental Engineering and Science Professors. Born in 1951 in Washington, D.C., Dr. Dentel grew up in suburban Virginia. He received his undergraduate degree in mechanical engineering from Brown University and master's and doctoral degrees in environmental engineering from Cornell University. He is remembered as a loving, funny, smart, adventurous man devoted to making the world a better place. As a member of the city of Newark Conservation Advisory Commission for 15 years, including 10 years as chair, he advocated for recycling, green energy and passage of Newark's anti-idling ordinance. He was also active in local Democratic politics and served as chair of the 25th District for a number of years. His passion for travel took him to more than 30 countries during his lifetime for both work and pleasure. He had a great love of beautiful places around the world, but perhaps his favorite place to be was spending time with family and friends at the family cottage on Lake Willoughby, Vermont. Dr. Dentel is survived by his partner in life of 34 years, Carol Post; two sons, Aaron Dentel-Post and Colin Dentel-Post; Colin's wife, Crystal Woodford; his brother, William Keith Dentel, and his wife, Jan Kinney. He is also survived by a wide circle of friends, colleagues and students who will deeply miss his quirky sense of humor, thoughtful analysis, and loving spirit. He was predeceased by his parents, Keith and Marcene (Chudomelka) Dentel, and a brother, Richard Keith Dentel. In lieu of flowers, contributions in Dr. Dentel's memory can be made to either the Steven K. Dentel AEESP Award for Global Outreach endowment fund or to Engineers Without Borders at the University of Delaware. For AEESP, visit the foundation's website. For UD-EWB, send checks payable to University of Delaware (memo line "Engineers Without Borders in Memory of Steve Dentel") to University of Delaware, Gifts Processing, 83 East Main St, 3rd Fl., Newark, DE 19716, or donate online at www.udel.edu/makeagift (select "Other" and fill in "Engineers Without Borders in Memory of Steve Dentel"). Online condolences may be sent to the Doherty Funeral Homes website.